A short, fantasy/horror story, featuring a boy, his wicked stepmother, and the shadow on his bedroom wall, which doesn’t seem to disappear, even in the dark. This was the first story Sturgeon sold after a year of writers’ block, since starting his job as a copywriter at Time Inc. The story was originally published in Imagination magazine, February 1951. A story of relationships, set on a space station where Earth’s misfits are dispatched into hyperspace, with only around a fifty percent chance of survival. Originally published in the very first edition of Galaxy Science Fiction magazine. Three tripartite energy beings, each made up of three individuals living in symbiosis, visit earth to study humanity. They discover that humanity is infected with the Pa’ak energy virus, which cultivates and feeds off neuroses, and is deadly to energy-based lifeforms. The aliens split into their individual component parts, as this makes them less susceptible to the virus, and each merges with a human in order to study their behaviour and try to discover a way to stop the virus spreading throughout the cosmos when humanity eventually develops space travel. Unfortunately, the aliens find that humans prefer to live as pairs, and that three is definitely a crowd, as they struggle to get the right three humans in close enough contact to be able to re-merge into their tripartite forms. A story with a similar premise to the previous one. Alien psychic parasites, whose psyches consist of three parts, are in danger of extinction, as their hosts are not reproducing fast enough. The aliens build a machine to send one of them to Earth, to determine if they could use humans as new hosts, but in order to do this, the alien psyche must be split into its individual parts and each part implanted into a different human. Once implanted, the three parts recombine and the alien can then control the humans. Unfortunately, the alien is imbued with empathy, and he realises he does not want to control the humans, so he develops a plan to help his fellow parasites, such that they will not have to leave their planet and come to Earth. A mission to Venus to collect energy crystals must cope with the native Gabblers, whose terrifying cries have seen off two previous missions. However, a mild-mannered civilian mission specialist, who is ridiculed by the rest of the crew, realises the Gabblers have been misunderstood. First published under the title Last Laugh, in Other Worlds Science Stories, March 1951. A literary agent discovers a writer who can produce a near-perfect story, but only when under the influence of an alien artefact. Unfortunately, the aliens want their device back. A tale of Arthurian legend, but set in the present day, as a private eye is hired by a Miss Morgan to find a very special cup and fulfil his destiny. A previously uncollected story, its only other publication being its original appearance in Fantastic Adventures magazine in 1951. A ‘Land of The Giants’ scenario, in which our hero and his beefy companion travel through a gateway to a parallel world, populated by eighty foot tall women. Written in a very pulpy style for Planet Stories magazine, which specialised in this sort of thing. A male scientist discovers a way to prevent women using their feminine wiles to influence men, but all doesn’t go according to plan when he deploys his new weapon in the war of the sexes. Following an apparent double murder, a symbiotic, asexual being shows a medical investigator and a reporter that they really were meant for each other. Another of Sturgeon’s stories looking at the nature of love. A tale of a group of children with psychic powers, who together form a gestalt organism. The story is recounted by one of the children during a visit to a psychiatrist. Sturgeon later rewrote and expanded the story for publication as his award-winning novel More Than Human. This is another solid volume in this excellent series, with not a clunker of a story to be seen. Sturgeon seems to have had a liking for stories of misfits around this time, as the first two stories and Special Aptitude all feature characters who feel they don’t belong or are put upon. 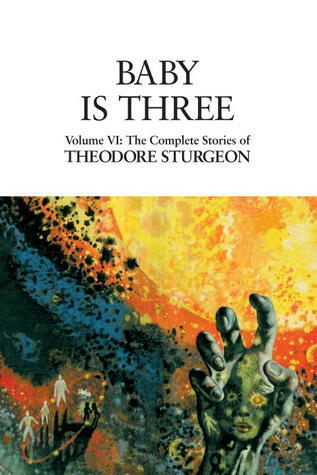 The stand out story is, of course, Baby Is Three, which apparently surprised Sturgeon with its popularity, and surprised him even more when the expanded novel version came to be considered one of science fiction’s masterpieces. The psychoanalysis in Baby Is Three was based on Sturgeon's experience as an early practitioner of Dianetics (now known as Scientology). Sturgeon also used his own experiences in Make Room For Me, where the three main characters are based upon himself, an old school friend and his co-writer (who is not acknowledged), with some of the dialog lifted near-verbatim from school discussions amongst the trio. Another highly recommended volume for anyone looking for good examples of Sturgeon’s works. 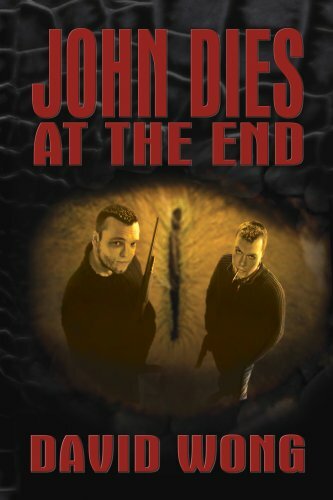 Video store worker Dave and his slacker friend John must save the world from inter-dimensional monsters, when they discover they can see the creatures after taking the new drug ’Soy Sauce’. This is an entertaining comedy-horror novel from an author who also doubles as the editor of entertainment website Cracked.com. The tongue-in-cheek tone is present throughout the story, rather than in laugh-out-loud gags, but the horror elements are there too, and are also well written. Dave’s adventures continue in another two books in the series, and the book was adapted into a movie in 2012. Not an award-winning literary masterpiece, but a worthwhile use of your time if you are looking for something to kill a few hours. This doorstop of a novel (906 pages in my edition) is split into two timelines — one set during WW2 (following Lawrence Pritchard Waterhouse, an American cryptanalyst, working with Alan Turing at Bletchley Park and other venues to break German and Japanese codes) and one set in the present (following Randy Lawrence Waterhouse, a descendent of Lawrence Pritchard Waterhouse, a computer expert working to set up an unhackable ‘data haven’ on the fictional island of Kinakuta). The WW2 storyline also follows Bobby Shaftoe, a US Marine, seconded to work for a secret unit, trying to hide the fact that the German and Japanese codes have been broken, and Goto Dengo, a Japanese military engineer, tasked with building a hiding place for Japanese and Nazi gold in the Philippines. Many other characters, both fictional and historical are also included in the intertwined storylines, with descendants of the WW2 characters crossing each other’s paths and working together. The basic plot consists of the WW2 characters hunting for the hidden gold as a sideline to their normal duties, and the modern day characters stumbling upon the location of the hoard whilst setting up their telecoms business in the far east. 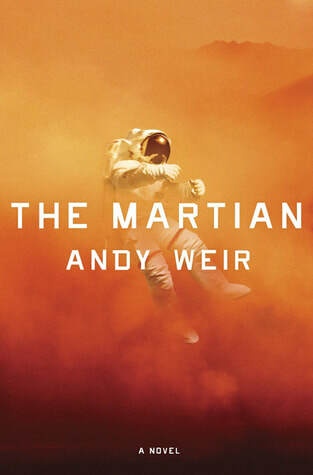 Despite being nominated for both the Hugo Award and Arthur C. Clarke Award, and winning the Locus Award for best science fiction novel, the story contains next to no SF elements. Just about the only plot points which could make the novel SFnal are the fictional islands of Kinakuta and Qwghlm, and the fictional programming language Finux, all of which could suggest that the story is set in an alternate world. Of the two timelines, the WW2 one was much more interesting and entertaining than the modern day one. 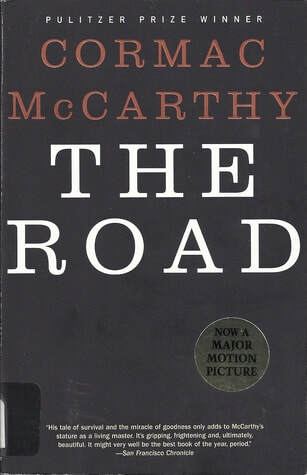 In fact, it could have been spun off as a stand alone novel in its own right and been worth reading. Unless you are really into computing and hacking, the modern day story was a bit of a snoozefest, to be honest. The writing flowed smoothly enough and the character building was well done in the WW2 timeline, but not so much in the modern day one, where I found I didn’t really care about any of the characters. 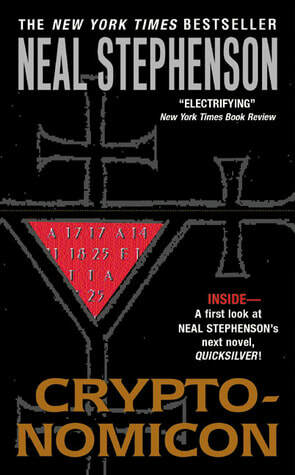 Worth reading for the WW2 story alone, and if you are a computer geek or into cryptology, then you get an extra story thrown in for free. 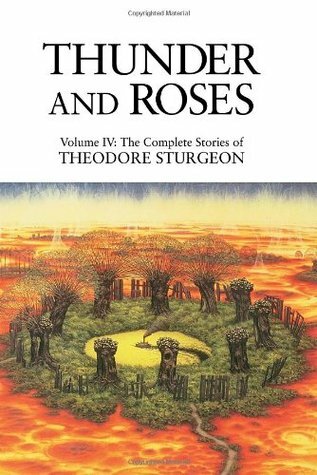 ​Volume five of ‘The Complete Stories’ series covers 1947-1949, before Sturgeon took a break from writing short stories to concentrate on his job at Time Inc. and work on television scripts. A young girl, raised in isolation by her recluse father, is sent out into the world to test her self-reliance and character. This previously unpublished and unfinished story is thought to be the start of an uncompleted novel. Some of the plot points and themes are reflected in Sturgeon’s later novel ‘More Than Human’. A hospitalised musician watches a cat kill a rat and muses on his music whilst taking a smoking break. It is unclear if the man is a normal hospital patient, a dangerous mental patient, or possibly even a vampire — the ending is ambiguous. A very short, unsold story aimed at the literary magazines. Later included in Sturgeon’s collection ‘E Pluribus Unicorn’. A cold war world on the brink of conflict must unite to fight a common enemy when three unknown spacecraft appear and threaten Earth. But does the scientist tasked with producing weapons to fight the threat know more of the enemy than he is letting on? A man meets a strange, ethereal alien in the woods. The alien explains that his race evolved on Earth before humans and left for another planet, but the plant life on the new planet is slowly poisoning them. They hope to return to Earth, but it appears that they are now poisonous to all Earth life. A woman falls in love with two brothers who look strangely alike, but have two utterly different personalities. A tale of suicide, murder and disappearing bodies told from multiple viewpoints, including that of an incorporeal energy being and Sturgeon himself. Even the reader is addressed directly at the end of the story. 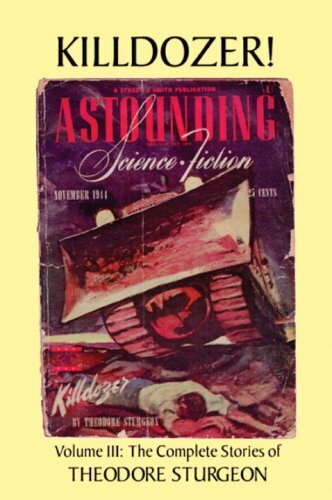 First published in Weird Tales, this story illustrates how Sturgeon showed that more complex and interesting ways of storytelling were possible in the pulp magazines. A radio ham tries to pick up signals from Mars. Years later, his son’s rather vacuous girlfriend has her mind hijacked by Martians, trying to make telepathic contact. A member of a jazz band murders the bandleader, but he is tormented by the the idea that his victim still lives on through the band’s musical style. He becomes obsessed with finding out which other musician is giving the band the leader’s style and removing his influence forever. A dying woman tells why she never married her partner, despite everyone believing they were married, before revealing a secret held by a statuette of The Dark Goddess. An unpublished story which Sturgeon submitted to a competition in Cosmopolitan magazine (he didn’t win). A western story, in which a pair of taciturn cowboys discuss how one of them saved the life of a lone female homesteader, and why he didn’t take advantage of her loneliness, but remained a gentleman. A man plots to murder his prospective father-in-law, by a convoluted method involving mercury vapour in a power station, when he learns that he is giving away his fortune to charity. A narrator from a far future Earth, where humans have evolved into a peaceful, non-technological, enlightened society, tells the story of humanity’s first two interstellar journeys, and why they abandoned space travel thereafter. Following the Fourth War, children are raised in state crèches, where any deviations from The Norm, due to mutations, are killed, unless the mutation is beneficial. One four-year-old’s mental effect on those around him becomes too much to bear for his mother and his carers. Following an apocalyptic war on Earth, a plan to reboot humanity on a new planet does not go well, when the new Adam and Eve emerge from their spaceship to find a horde of savage, mutant blue aliens with tails charging at them. The aliens look suspiciously like mutated versions of a blue, humanoid couple with tails that the humans observed just before they left Earth, stepping out of a metallic structure, only to be ripped to pieces by a horde of savage, mutant humans. A young couple both find that one of their feet has been transformed into a cloven hoof. They search a wood for Forbidden Valley, where stories tell of a buried supernatural being who may be able to help them. A cinema projectionist undergoes an initiation test to determine if he is fit to join a group who have discovered a treatment which confers immortality on its users. A creature from another dimension falls through a portal into our universe and proceeds to cause chaos on Earth. In its own universe, the creature becomes invisible when frightened and emits a pleasurable feeling emanation when happy. Unfortunately, in our universe the opposite occurs — when it is happy, it is invisible and its emanation causes humans to itch uncontrollably. The creature proceeds to multiply by parthenogenesis and forces mankind to flee from Earth. Volume five gives us another set of eminently readable stories. The standouts are ‘A Perfect Host’, with its unusual technique; ‘Quietly’, which does not read like an unfinished story and seems to me to be eminently saleable; ‘Prodigy’, with a neat, twist ending, and ‘One Foot And The Grave’, which improved as it went along, despite a tad too much “As you know, Bob…” exposition near the beginning. The rest of the stories are a mixture of typical pulp magazine tales, a quite decent western, an unsuccessful literary story and the humorous and much-anthologised Hurkle tale. Not the best volume in the series so far, but still recommended as a decent Sturgeon collection. 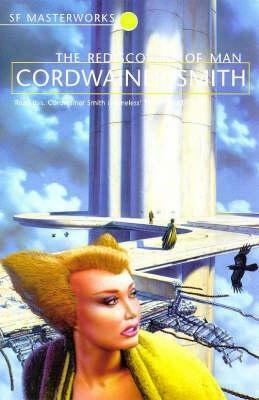 ​Originally published as ‘The Best of Cordwainer Smith’ in 1975, this collection consists of twelve stories set in the author’s Instrumentality of Mankind universe. The contents follow the internal chronology of the Instrumentality, giving the reader an overview of the history and development of the society in which the stories are set — a society which is ruled by the hereditary Lords of the Instrumentality, who live for hundreds of years, thanks to the drug ‘stroon’, and where the human population is stagnating in enforced happiness, while the menial work of society is carried out by genetically uplifted animals known as ‘underpeople’. 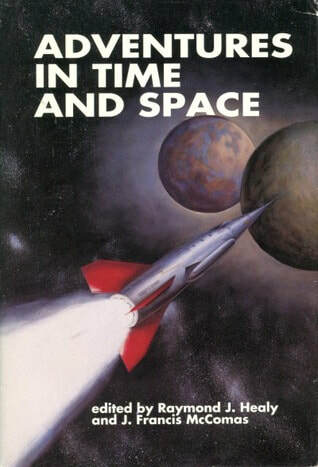 Beginning with the first published Instrumentality story ‘Scanners Live In Vain’, we find a universe where space travel is only possible using cryonic suspension and spaceships are crewed by ‘Habermans’ — an underclass who have had all their senses except sight surgically eliminated, along with their personalities, in order to protect them from ‘the pain of space’, which would otherwise kill them or send them mad. The Habermans have their metabolism monitored and regulated by ‘scanners’ — volunteers who have also undergone the Haberman process, but retain their personalities — in order to make space travel possible. When the scanners hear that a way has been found to block ‘the pain of space’ and travel without using Habermans, they decide to assassinate the inventor of the new way of travel, in order to protect their monopoly position in controlling spaceflight, but one scanner rebels and attempts to save the inventor. The second story ‘The Lady Who Sailed The Soul’ is set a few years after the events of Scanners Live In Vain, and tells of an interstellar romance between a young woman, who wishes to become the pilot of a solar sail powered spaceship, and the older pilot of such a ship, who has returned to Earth from a colony planet after a forty year journey. Moving on a few thousand years, ‘The Game of Rat and Dragon’ finds human travel in outer space threatened by strange creatures known as the Dragons. Imperceptible to ordinary people, Dragons are experienced as nothing but a sudden death or insanity. Dragons can only be destroyed by very strong light, but they move too fast for conventional defence methods. Telepathic humans and telepathic cats (who perceive the dragons as rats) are able to sense the creatures within milliseconds. The humans and cats work together as teams to protect interstellar spaceships traveling via ‘planoforming’ (a type of faster than light travel). The cats ride outside of the spaceships in their own tiny crafts, waiting for the order from their human partner to attack. Pin-sets (telepathic amplifiers) heighten a telepath’s senses and allow the humans to communicate with their partner cats. The cats then destroy the Dragons with ‘pinlights’, miniature nuclear bombs whose blast gives off pure visible radiance that can destroy the dragons. Thanks to the combination of the human mind and the cats' quick reactions, space travel is an acceptable risk. In ‘The Burning of The Brain’, a spaceship captain becomes lost in space when his navigation board, to which he is mentally linked, is found to have been set up incorrectly. He must allow the ship’s telepaths to probe his brain to find a memory of a route home, but the process burns out his brain and leaves him mentally disabled. Around four thousand years later in the Instrumentality timeline, we get ‘The Crime and the Glory of Commander Suzdal’. Sent on a mission of exploration, the Commander discovers a deep space probe which tells a story about the plight of a group of settlers calling themselves the Arachosians, who have succumbed to a plague that renders femininity carcinogenic. They were only able to protect themselves from extinction by genetically making everyone male and developing a process to allow males to give birth. Generations later, the lack of females has led to the Arachosians regarding normal humans as abominations, who must be destroyed. They therefore sent out the probes, asking for help, to try to lure passing humans to their death. Suzdal travels to Arachosia and awakes from cryo-sleep to find the Arachosians trying to break into his ship to kill him, or capture him to reveal the location of Earth. He uses an emergency device intended to send his large spacecraft back a few seconds in time to instead hurl feline genetic material (coded to evolve for intelligence and to obey Suzdal) millions of years back on the far side of the local moon. A race of advanced, space-faring cat-descendants appears instantaneously and hail Suzdal as their god and creator. They engage the Arachosians at his order, allowing him to escape. Despite saving the ship and successfully concealing Earth's location from the Arachosians, Suzdal is stripped of rank and sentenced to the prison planet Shayol for his misuse of the time device. In ‘Golden The Ship Was — Oh! Oh! Oh!’, the Instrumentality defeat a planned conquest of Earth by the dictator Raumsog using a fake superweapon — a space battle cruiser ninety million miles long — which is mostly made of foam. Whilst Raumsog is pre-occupied with the superweapon, a small stealth craft seeds the dictator’s planet with deadly diseases which wipe out the population. Moving on a further thousand years, ‘The Dead Lady of Clown Town’ is set on the planet Fomalhaut III, and is loosely based on the story of Joan of Arc. A therapist named Elaine becomes involved with a group of fugitive underpeople, living in a maze of drab service corridors jokingly dubbed ‘Clown Town’, who are being helped by Lady Panc Ashash (a computerised personality recording of a deceased Lady of the Instrumentality) and a telepath called The Hunter. Panc Ashash had predicted Elaine's coming, and how she would help the dog-girl D'joan create history by beginning a peaceful revolution calling for rights for the underpeople. With help from Elaine and the Hunter, D'joan leads the fugitives from their hiding place in a march into the city. The underpeople go knowingly to their deaths professing their love and asserting that they too are people to the humans they meet along the way. Soldiers eventually arrive and end the revolution by killing all the underpeople, with the sole exception of D'joan. One of the Ladies of the Instrumentally on the scene chooses to put D'joan on trial — a remarkable occurrence, since underpeople did not have any such right. D'joan is sentenced to be burned to death. The martyrdom of D'joan and the underpeople affect the human participants and witnesses in powerful, unanticipated ways. The lasting consequences eventually lead to the rebirth of religion, rights for the underpeople, and the Rediscovery of Man. A thousand years later, ‘Under Old Earth’ tells the story of Sto Odin, a Lord of the Instrumentality, and his two robot servants, who are imprinted with the minds of dead men. They journey deep underground in search of the Gebiet: an underground city without the monotonous, enforced happiness of the surface world, where the laws of the Instrumentality are suspended and anything goes. After a further thousand years, in ‘Mother Hitton’s Littul Kittons’ a thief attempts to steal the life-extending drug ‘stroon’ from the planet Norstrilia, but first he must get past the planetary defences — Mother Hitton and her littul kittons. In ‘Alpha Ralpha Boulevard’ we finally get to the beginnings of the Rediscovery of Man — a sudden radical shift from a controlling, benevolent, but sterile society, to one with individuality, danger and excitement. The Instrumentality government, which in its overprotectiveness has driven the purpose from human existence, decides to turn back the clock to a less sheltered historical human era of 14,000 years before (i.e. our time). Virginia and Paul decide to undergo mental treatment to become French, but Virginia begins to have qualms about the artificial aspects of the personality she's been given, and wonders whether her love for Paul is real or synthesised. They decide to visit a computer, the Abba-dingo, never understood by the Instrumentality, which has reached the status of a god, able to foretell the future. It can only be reached walking a ruined processional highway leading into the clouds: Alpha Ralpha Boulevard. The computer tells Paul he will only love Virginia for a few more minutes, and the prediction is fulfilled when Virginia falls to her death from the Boulevard during a sudden storm. Paul is rescued from the storm by a cat-woman, C’mell, and awakens at home to find himself being attended by a medical robot. Before C'mell returns to check on him, Paul ponders the nature of the machine that could make such accurate predictions, and grieves for his loss. C’mell returns in ‘The Ballad of Lost C’mell’, where Lord of the Instrumentality Jestocost helps the leader of the underpeople, an eagle-derived underperson known as E'telekeli, steal information from the Instrumentality database with the help of a telepathic link via C’mell’s mind. C’mell falls in love with Jestocost, but he has suppressed his own feelings as a distraction, and they separate when the plan succeeds. On his deathbed, many years after C'mell has died of old age, Jestocost has a brief telepathic conversation, apparently with E'telekeli's successor, in which he learns that she never loved anyone but him. The telepathic underperson assures Jestocost that his name will be linked with C'mell's forever in history and folklore. Finally, in ‘A Planet Named Shayol’, a man convicted of crimes against the Empire (an autonomous region of the Instrumentality) is sent for punishment on the planet Shayol, where creatures called dromozoans infect the convicts and cause them to grow new body parts. The body parts are harvested and used in medical procedures by the Instrumentality. Four children, heirs to the throne of the Empire, are sent to the planet to prevent them committing treason when they grew up. The underperson in charge is horrified and rebels, contacting the Instrumentality, who are unaware of the Empire’s cruelty. The Instrumentality despatch ships containing robots to rescue the convicts. The stories in this collection are deservedly part of the SF Masterworks series. The Instrumentality is one of SF’s greatest future histories, along with Bradbury’s Martian Chronicles, the Dune universe et al. Smith’s writing has a lyrical quality about it that raises it above the average for it’s time, and it is a tragedy the author died so prematurely at the age of 53, when there were so many more stories which could be told in his fascinating universe.